The 18th annual Hero World Challenge, held December 1-4, 2016, returns to New Providence, Bahamas for the second-consecutive season, to be contested at Albany (7,267 yards). Host Tiger Woods is among 18 of the PGA TOUR’s elite to compete for the $1 million top prize ($3.5 total purse) in the annual 72-hole, stroke-play event. Host Tiger Woods, the winner of 79 career PGA TOUR titles including 14 major championships, returns to the Hero World Challenge as a participant after being unable to play last year after undergoing a follow-up procedure in late October 2015 to an earlier back surgery. Woods owns five victories (2001, 2004, 2006, 2007, 2011) and five runner-up finishes (most recent to Zach Johnson in 2013) in 14 prior Hero World Challenge starts. A T10 finish at the 2015 Wyndham Championship marks Woods’ last start on TOUR. Following a third-round 9-under 63, Bubba Watson carded a final-round 6-under 66 to win the 2015 Hero World Challenge by three strokes over Patrick Reed and four over Rickie Fowler. The two-time Masters champion won with a 72-hole total of 25-under 263, one shy of the Hero World Challenge record of 26-under 262 set by Jordan Spieth in 2014. As he makes his seventh start at the Hero World Challenge (T14/2010, T6/2011, T9/2012, T3/2013, T11/2014, 1/2015), Watson will attempt to join Tiger Woods (2006-07) as the only players to win the Hero World Challenge in back-to-back seasons. the defending champion and two special-exemption players. Four FedExCup titles: Tiger Woods (2007 and 2009); Henrik Stenson (2013); and Jordan Spieth (2015). Nine of the 18 players have won major championships. Seven countries represented, including 12 players from the United States. Olympic Gold medalist Justin Rose, Silver medalist Henrik Stenson, Bronze medalist Matt Kuchar. Past Hero World Challenge winners: Tiger Woods (5 wins), Zach Johnson (2013), Jordan Spieth (2014), Bubba Watson (2015). First-time participants Emiliano Grillo, Russell Knox, Louis Oosthuizen. In 2014, Jordan Spieth won by a record 10 strokes with a tournament-record 26-under 262, the event’s first wire-to-wire winner. Tiger Woods (2006-07) is the only back-to-back winner of the Hero World Challenge. Patrick Reed owns two top-three finishes in as many starts at the Hero World Challenge (T3/2014, 2/2015). 2014 – Jordan Spieth; Isleworth Golf and Country Club, Windermere, Fla.
2013 – Zach Johnson; Sherwood Country Club, Thousand Oaks, Calif.
2012 – Graeme McDowell (2); Sherwood Country Club, Thousand Oaks, Calif.
2011 – Tiger Woods (5); Sherwood Country Club, Thousand Oaks, Calif.
2010 – Graeme McDowell; Sherwood Country Club, Thousand Oaks, Calif.
2009 – Jim Furyk; Sherwood Country Club, Thousand Oaks, Calif.
2008 – Vijay Singh; Sherwood Country Club, Thousand Oaks, Calif.
2007 – Tiger Woods (4); Sherwood Country Club, Thousand Oaks, Calif.
2006 – Tiger Woods (3); Sherwood Country Club, Thousand Oaks, Calif.
2005 – Luke Donald; Sherwood Country Club, Thousand Oaks, Calif.
2004 – Tiger Woods (2); Sherwood Country Club, Thousand Oaks, Calif.
2003 – Davis Love III (2); Sherwood Country Club, Thousand Oaks, Calif.
2002 – Padraig Harrington; Sherwood Country Club, Thousand Oaks, Calif.
2001 – Tiger Woods; Sherwood Country Club, Thousand Oaks, Calif.
2000 – Davis Love III; Sherwood Country Club, Thousand Oaks, Calif.
1999 – Tom Lehman; Grayhawk Golf Club, Scottsdale, Ariz.
India-based Hero MotoCorp Ltd. is the world’s largest manufacturer of two-wheelers. In 2001, the company achieved the coveted position of being the largest two-wheeler manufacturing company in India and also the World’s No. 1 two-wheeler company in terms of unit volumes sold by a single company in a calendar year (an honor it has never relinquished since). The Hero World Challenge is co-sponsored by the PGA TOUR and benefits the Tiger Woods Foundation, Tavistock Foundation and the Albany Scholars Program. knowledge and skills needed to exceed any and all expectations. 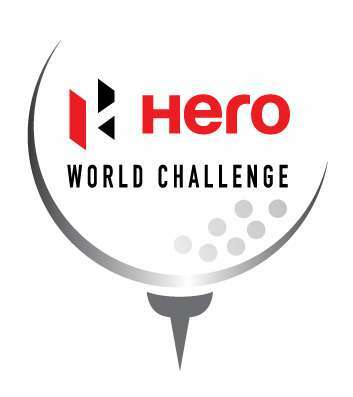 Since its inception in 1999, the Hero World Challenge has raised nearly $30 million.